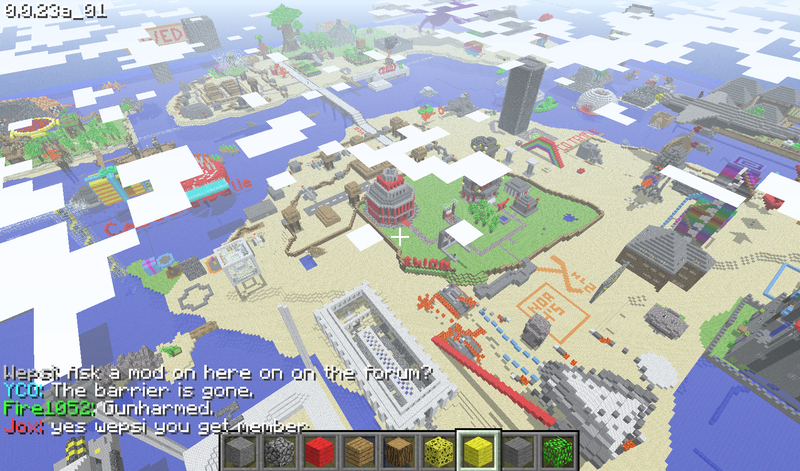 MineCraft is a free online game witch currently is in its alpha stages and soon moving upto beta. MineCraft lets you be in control in a first person experance and allows you to move around freely the only thing you have to do is to stay alive. Sure in the daytime nothing actully happens much but at night you have do defend yourself from pixelated zombies , Gient spiders , skeletons ect. You gather wood from trees water from lakes and a tan from the sun this game is worth the wait. Currently the full version of the game is $9.97 but when the game goes into the beta stages the price will go upto $20 so i would recommend buying the game before the beta comes out. The game is worth buying, The game keeps updateing so there are fewer bugs everyday. It is worth the $9 I would recommend this to anyone !